Graphic designer Katie Rutherford created a series of posters and social media images to persuade Vermont high schoolers that eating a school lunch can help fuel their busy days. Planning to hire someone to produce a creative piece for you? Whether the end result is a logo, ad, video, or an entire campaign, putting together a “creative brief” in advance can save time, money and aggravation. A “creative brief” is a written document that helps define a project and what you want to get from it. This document provides the writer, graphic designer, photographer, or other creative person with the background they need to understand your vision. 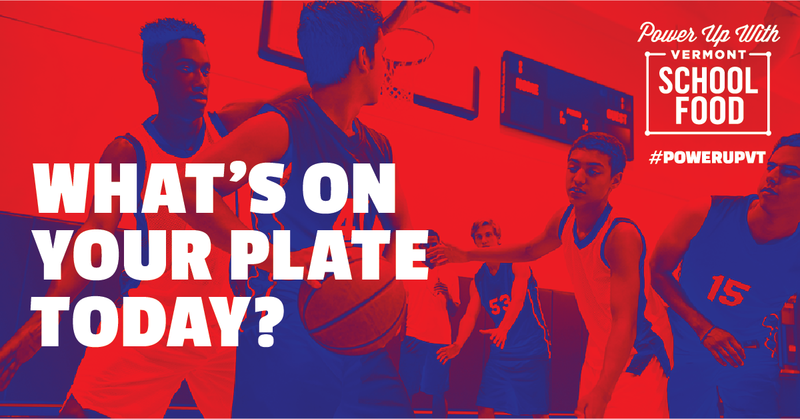 For example, when Food Connects, a nonprofit in Brattleboro, Vermont, hired Good Egg Marketing to help them develop a campaign designed to increase the number of Vermont high schoolers participating in the school meals program, we put together a creative brief to guide the process. We sent the creative brief to several graphic designers and agencies in Vermont, asking them to submit proposals. Providing the same background information to all the designers made it easier for them to describe how they’d approach the problem. We chose Rutherford to design the project because we were impressed, not only with her previous background, but she had the best approach. There’s no universal format for a creative brief. Agencies like to develop their own tools, so their templates may vary depending on the type of project. Creative briefs should always include basic background info about your company/organization and your brand. In addition, every creative brief should cover at least three key elements: Goal, Audience, and Format. Everything you produce should have a purpose that leads you toward your end goal. If you’re trying to attract new customers or differentiate your product, it may take a mixture of tactics and/or lots of repetition to achieve your goal. But each specific creative piece should be designed to provoke a desired response that will lead you toward your goal. 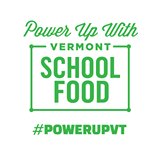 For example, the goal of our #PowerUpVT campaign is to increase participation in the school meals program. We want students to realize that eating a healthy school meal will give them the energy to power their busy days. The goal of our creative materials is to share that message and to make school meals seem a little cooler. But the visuals we created are just one part of the campaign; we’re also working with food service directors to implement best practices for increasing participation. If successful, how will this creative piece lead me towards my end goal? What do I want people to feel, think, or do when they read, watch, or encounter this creative work? What specific “call to action” can I associate with the creative product? How can I measure if it’s working? Increased school lunch sales? Number of new website visitors? Informal feedback from customers? Now that you know your end goal, define your target audience. What specific group of people are you trying to reach? What demographics, behavior, or values do they share? Compile the most important information you have about them. A little market research, such as a customer survey or a study you find online, can help you understand how people in your target audience view your product category or issue. Read or watch the type of media that they watch and describe the tone of voice or attitudes you see. When choosing our target audience for the school meals campaign, we went back and forth as to whether to target parents, students, or both. Doing both would have required two different approaches, so we ultimately decided to focus our campaign on the students. As we discussed their motivations, we realized that busy students need to fuel their day by eating a good meal, so we decided to focus on the benefit of being able to grab a healthy meal at school, using the hashtag, #PowerUpVT. To attract the attention of this particular audience, our designer created eye-catching images that simulate the color filters popular on Instagram. Who are you targeting? What do they have in common? How do they use or connect with your product or service? What problem or need does your product or service solve for them? What feelings do they associate with your product or service? How can you tap into those feelings, behaviors, and needs? Once you’re clear on whom you’re trying to reach and what you want them to do, you need to figure out which type of creative work or channel is most likely to reach people them and provoke the desired response. If you’re creating multiple creative pieces, be sure to define the response you want to trigger from each item and explain how they’ll complement each other. When trying to figure out the right format for your audience, ask a few people in this group how they make decisions as to which products to buy or which causes to support. Whom or what do they see as a trusted information source? If you don’t know the best format, ask some creative people who know your target audience for suggestions. For example, we wanted high schoolers to see our messages in the cafeteria, where they’re deciding whether to eat school meals, go out, or go hungry, so we created posters that could go up in the lunch room. But we also wanted to reach them in other ways, so we produced social media images that we hope will grab their attention, so we can reinforce the message. What can I do with my current budget? For example, would mailing an odd-sized postcard be more likely to drive traffic to my website than an email would? Do I have enough of a following from people in my target market to be able to reach them through my Facebook page? If not, can I afford to pay for Facebook ads? Do I have a good way to distribute or show this creative product that is highly likely to reach people in my audience?